A new study conducted by scientists at University College Cork (UCC) shows that mice lacking bacteria in their gut displayed autistic behaviors such as repetitive grooming and disinterest in social interactions with other mice. Ted Dinan, psychiatry professor and a principal investigator in the Alimentary Pharmabiotic Center at UCC has been studying gut bacteria and its effect on the brain for years. In an interview with the Irish Examiner, Professor Dinan explained that the serotonin system, which regulates mood, “doesn’t develop properly if you don’t have enough bacteria in the gut.” That conclusion was supported when scientists studying mice raised in a germ-free environment and therefore lacking in gut bacteria (microbiota) noted that they were more prone to autistic behaviors such as concentrating more on objects than other mice and showing disinterest in new social situations. When those same mice were given doses of microbiota they demonstrated a reversal of “social avoidance” and repetitive behavior, though their social cognitive damage was not reversed. 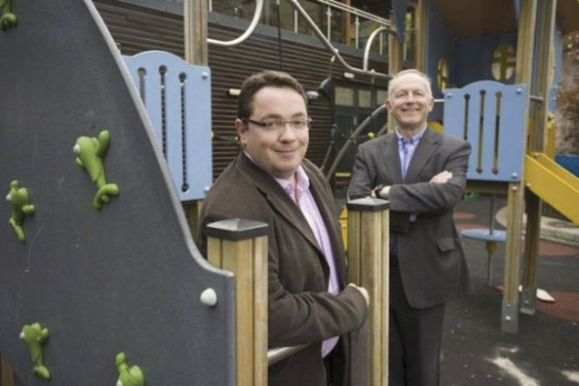 The findings open a new door for potential therapy for autistic individuals: “The discovery may mean ‘way down the road’ that scientists could be able to develop some bacterial therapies for autism,” Professor Cryan told the Belfast Telegraph.